"Abram-At the family home on Twenty-first street, in this city, Thursday, March 7, 1907, Herman Abram, aged 9 years, 7 months and 1 day. "Veteran Printer Called By Death--Walter G. Ackerman, 73, Dies Tuesday Morning; Funeral Thursday--Funeral services for Walter Green Ackerman, 73, veteran state printer, will be held from the Terwilliger funeral home at 2 o'clock Thursday afternoon with Rev. Blaine E. Kirkpatrick officiating. Mr. Ackerman died at his home here early Tuesday morning. Mr. Ackerman had been employed at the state printing department for a great many years, working under the late W.S. Duniway prior to the department being taken over by the state in 1913. He was a member of Salem lodge No. 4 AF&AM, El Karaz Grotto, and a past sachem of the IORM. "Adair--In this city, November 12, 1876, of Diptheria, Elpha India, aged 7 years, only daughter of Mr. and Mrs. L.G. Adair." "Former Salemite Dies At Eugene--L.G. Adair For Thirty Years Held Responsible Position With S.P.--L.G. Adair, for 30 years station agent for the S.P. at Eugene, died in that city Sunday and will be buried in Lee Mission cemetery today after the arrival of the 3:15 train this afternoon. During the `70s he resided in Salem, his wife being school teacher at that time. 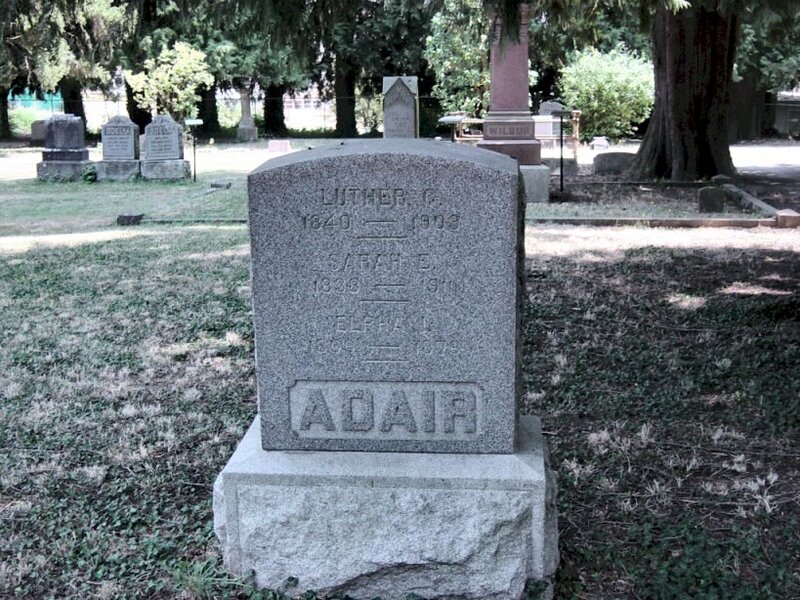 Mr. Adair was an uncle of the Misses Welch, Frank, William and Arthur, and of Mrs. C.M. Lockwood. He leaves a brother, W.H. 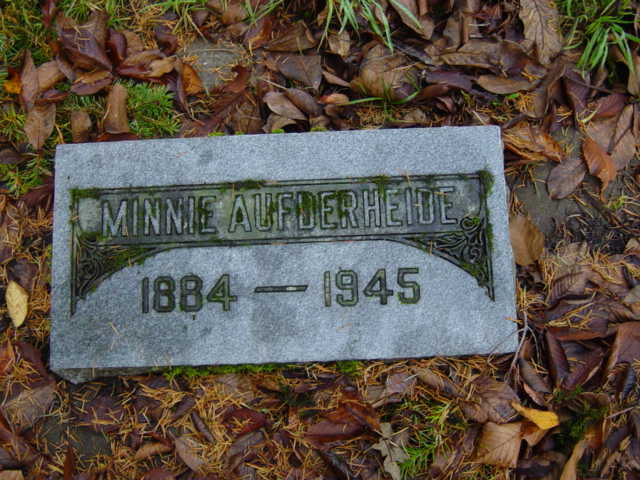 Adair, of McMinnville, and a sister-in-law, Mrs. E.T. Adair, matron of the Willamette sanitarium in this city. He was born October 23, 1839 in Clinton county, Indiana. For 30 years he has filled the position of agent at Eugene, being on the retired list for the past two years. He was possessed of an excellent voice and always responded to requests to sing, being identified with the Presbyterian church choir at Eugene. He was a member of the Eastern Star, a Mason and a member of the I.O.O.F., the latter order having charge of the services assisted by Rev. P.S. Knight, and Mrs. W. Carlton Smith will sing. "Adams--At the home of Mrs. John J. Ashby, 704 North Cottage street, Monday, March 20, 1916, at 3 o'clock a.m., Grueb Adams, aged 53 years. "Adams--At the Salem hospital, Wednesday, March 6, 1918, J.O. Adams, 80 years old. Besides his widow he leaves three children. They are Mrs. C.D. Ross and Mrs. A. Martin of Salem, and J. Walter Adams of Traverse City, Michigan. "Aegerter--Miss Marietta Bradley Aegerter, in Tacoma, June 19, aged 49 years. "Charles Agee, 84, of Salem died Saturday. He was born in Platte, Mo., and served in the Army during World War II. He moved to Salem in 1945. He was a union carpenter constructing highway bridges and commercial construction. He was a member of the union and enjoyed hunting, fishing, gardening and bird watching. Survivors include his wife, Helen, whom he married in 1945; daughter, Billie Shores of Kailua, Hawaii; brother, Hughy of Coos Bay; sisters, Dorothy Palmer of Cortez, Colo., Geneva Wilden of Colorado Springs, Colo.; and three grandchildren. "Keizer--Maria Salud Aguilar, 40, died Monday in Seattle. A native of Mexico, she worked in a tortilla factory in Salem. She was a member of St. Joseph's Catholic Church. She is survived by son, Jesus Oseguera Jr.; daughters, Miricruz Osequera of Mexico and Elsa Rubi of Keizer; brother, Lodeguarion Aguilar of Mexico; sisters, Antonia and Natividad Aguilar, both of Mexico; and two grandchildren. Visiting will be from noon to 8 p.m. today with rosary immediately following, both in Keizer mortuary. "At the residence of John Koenecke, 1330 North Nineteenth street, April 21, 1911, Benjamin Aldridge, aged 81 years, 1 month and 9 days. "Anna Alexander, at the residence at 1105 Ruge st., April 7, at the age of 71 years. Survived by husband, Sam C. Alexander of Salem; children, Mrs. Roy McCormick, Coquille, Mrs. Alice Wright, Salem, Frank Wilmot, McMinnville, and Thomas and Leonard Wilmot, both of Longview, Wash.; step-children, Mrs. Marie J. Simonton, Monmouth, Charles V. Alexander, Pendleton, and A.A. Alexander, Berkeley, Calif.; also by 13 grandchildren and 8 great-grand-children. Announcement of services later by Howell-Edwards chapel." Interment Record #1991; states he was buried in Block 44 grave 6 but does not give lot number. He has been listed in Lot #2 until his actual location can be verified. 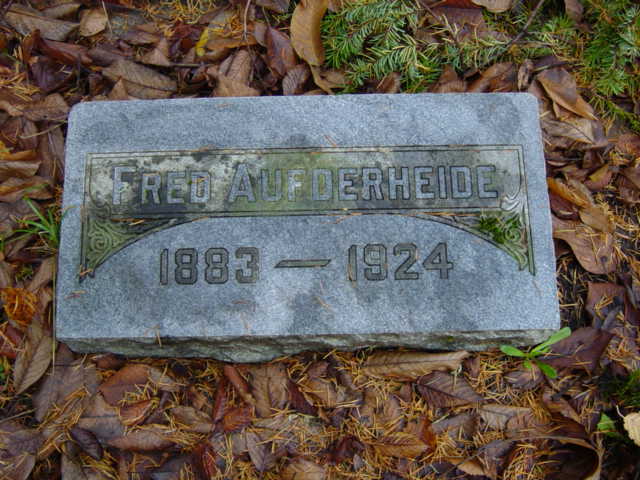 [Letter from Pamela Alford Thompson, http://www.alfordassociation.org/ states: A biography of Missouri's brother, Luther Fletcher "Orpurd" published in The Centennial History of Oregon, 1811-1912 page 369, says Luther was the son of "Calvin and Eliza (Newkirk-sic) Orpurd" and that Calvin and Eliza had five children, one being "Missouri, the wife of Frank Alford, of Salem, Oregon." "Allenbach--At the family home, near Fruitland, Oregon, Sunday, September 10, 1899, August Allenbach, aged 58 years, of consumption. "Allison--At the family home in Simpson addition, Monday, Sept. 26, 1892, infant child of Mr. and Mrs. J.E. Allison. "Mrs. Hilda Betsy Allm, 76, resident of this area for 48 years, died late Sunday at a local hospital. The home was at 470 Kingwood Ave. NW. Mrs. Allm was born in Oxford, England. 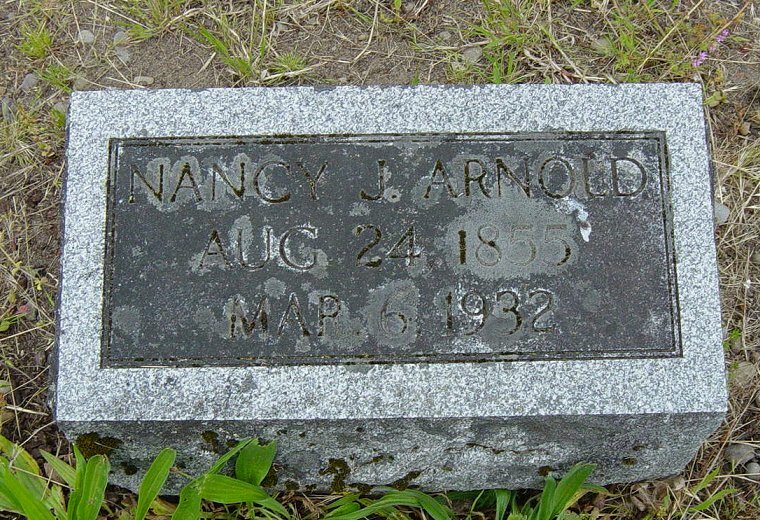 She lived in Kansas prior to moving here in 1914. Surviving are the widower, Omer B. Allm, Salem; daughter, Mrs. Irene Cook, Salem; son, Jack Allm, Salem; sister, Mrs. Ethel Wenborn, in England; brothers, Harold and Norman Purbrick, both Salem; five grand-children and two great-grandchildren. 1920 Marion Co Census shows Hilda living in the Pringle Pct with husband, Omer and children Irene and Jack R.; in the 1930 census Hilda is living in the Pringle Pct with husband, Omer and son, Jack R.
"John Edward Alm, 77, 2935 Jensen St. NE, died Monday at a Salem hospital following a long illness. He came to Salem 15 years ago. A native of Illinois, he lived in Montana and five years in Portland before coming here. Surviving are the widow, Lillie, Salem; daughters Mrs. Alice Bronson, Missoula, Mont., Mrs. Beulah Engellant, Mrs. Helen Edmonds, Mrs. Beverly Flemming, all Great Falls, Mont., Mrs. Leona Pillen, Mrs. Clella Merritt and Mrs. Marlene Hahn, all Helena, Mont. ; sons, Corbin, Helena, Glen, Great Falls, and Benton, Hemet, Calif.; sisters Mrs. Hulda Clausen, Redfield, S.D., Mrs. Ann Travis, Hartford, S.D., and Miss Mim Alm in Minnesota; 34 grandchildren and 44 great-grandchildren. "Lillie Elzy May Alm, 90, of 820 Cottage St. NE died Thursday in a Salem nursing home. She was born in Doyle, Ark., and came to Salem in 1953. Surviving are several nieces and nephews. "SALEM - Dylan was born and raised in Salem, Oregon. He attended St. Joseph's elementary school, North Salem High School and was a student at Chemeketa Community College. 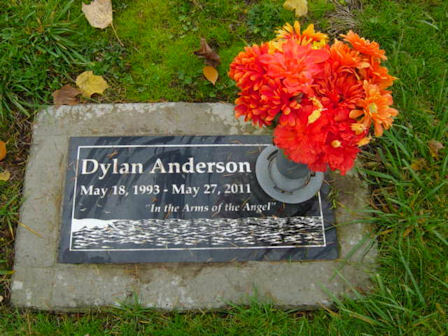 Dylan is survived by his parents, Kris Anderson of Kansas, Sarah Trump of Salem; paternal grandparents, Kenneth and Ginger Anderson of Salem; aunts and uncles, Scott and Lisa Ogilvie, Jay and Kelli Pinkerton of Salem; maternal grandmother, Ann Jones and several local extended family members. Dylan was involved in city league soccer as a youth. As a teen, he could often be found playing basketball at the YMCA, or on his frequent, extended bike rides all over town. His infectious smile, goofy laugh, insatiable curiosity and amazing sense of humor will be sorely missed. 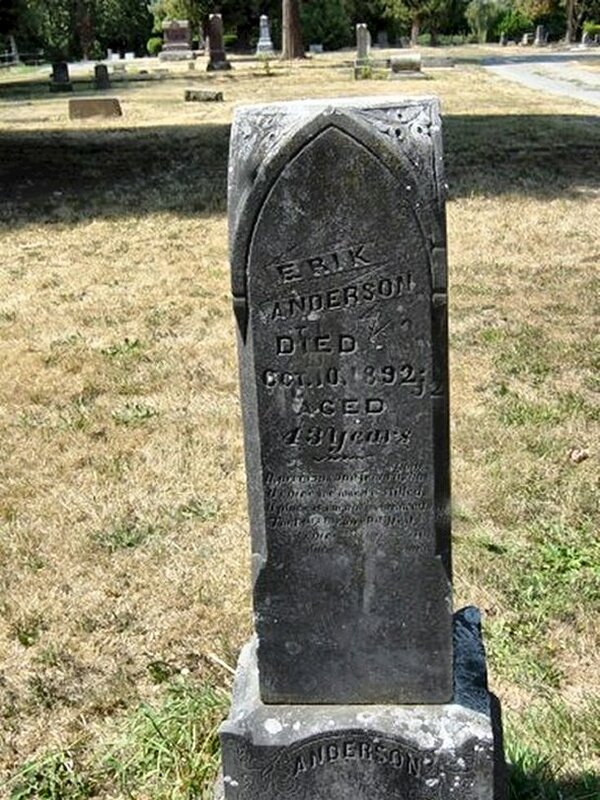 "Andersen--At his home on East Court street, Monday, Oct. 10, 1892, Eric Andersen, aged 43 years. 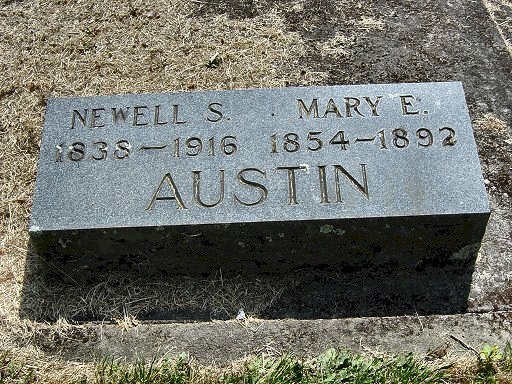 Deceased was born in Norway on Christmas eve, 1849, and came to America with his parents when he was but 13 years of age. His parents are still living in Winneshiek county, Ia., and he leaves also a wife. "Andrews--At the family home on Marion street, between Capital and Summer, at 2 p.m. Saturday, March 20, 1897, Alfred Andrews, son of Mr. and Mrs. J.S. Andrews, aged 4 years and 5 months. "Leon Leslie "Lee" Andrews, 76, died Sunday at his home. He owned the Marion Electric Co. in Salem until his retirement. 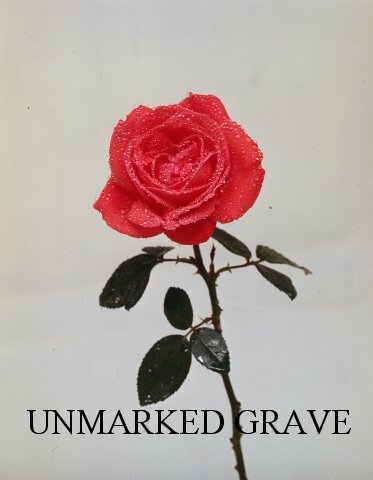 Survivors include wife, Marie; sons, Leon L. Jr., San Diego, Calif., and Larry L., The Dalles; daughters Jacqueline Joy Felix and Cheri D. Andrews, both of Salem, Jerri Jean Sandiford, Venezuela; sister, Phyllis Wheeler, Evesham, England; 11 grand-children. "Albert Arends, 72, died Thursday at his residence, 4130 Durbin Ave. SE. He was a retired sawmill operator. He lived at Dallas from 1917 until 1950, operating an apartment house, then moving to Salem and for about three years operating Sunnyside Motel. Survivors include the widow, Orphia, Salem; son, Lewis Arends Sr., Salem; daughters, Mrs. Nancy Kast, Seattle, and Mrs. Mildred Howell, Portland; 11 grandchildren; brothers, John, Richard and Amos, and a sister, Mrs. Clara Weldon, in Nebraska. "Services will be 2 p.m. Monday in Brown chapel, Newberg, for former Salem and Dallas resident, Mrs. Orphia E. Arends of Dayton. 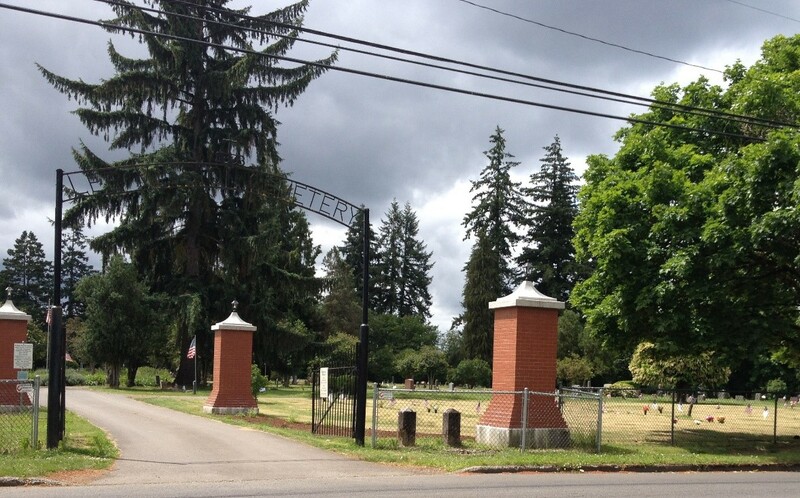 Interment will be in Lee Mission Cemetery, Salem. She died Monday at her home, 617 2nd St., Dayton, at the age of 82. She had been in ill health for some time. Mrs. Arends, and her husband Albert operated the Sunnyside Motel on Commercial St. in Salem for a number of years. He died in 1933. 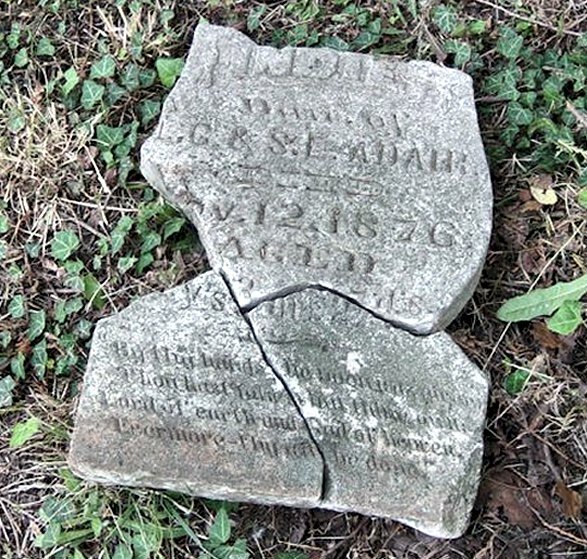 A native of Kansas, she lived in Salem about 20 years and in Dallas about 15 years. "Armstrong--At his home, 590 North Twentieth street, August 30, 1914, Alvin A. Armstrong, aged 81 years. dau of Wm & E.E. "Aschenbrenner--At the family home east of Salem, April 5, 1899, at 12:30 a.m., of pneumonia and heart trouble, Rosa Selvina Aschenbrenner, in her 17th year. "Joan was born in Salem, Oregon and passed away in Portland, Oregon. A celebration of life honoring Joan will be held in August 2013. A more detailed obituary will appear here in the near future." Crown Memorial Centers, Portland. "Frank Elwood Atkinson, 64, 960 16th St. NE, died Monday at his residence. He was born in Newberg and lived in Salem for 19 years. He was a construction worker. Survivors include widow Mayme; daughters Sue and Janice Atkinson, Salem, Coleen Atkinson and Donna Mull; son Robert Atkinson, Salem; two sisters including Juanita Rieves, Newberg; five grandchildren. "Keizer--Lela Mayme Atkinson, 68, died Saturday. She was born in Flint, Mich., and moved to Salem from Woodburn in 1955. She was a retired self-employed tailor. She enjoyed sewing and gardening and was a member of Grace Baptist Church. Her husband, Frank, died in 1975. Survivors include her daughters, Colleen Atkinson of Arvada, Colo., Donna Mull of Hermiston, Sue Atkinson of Portland, and Janice Beckett of Eugene; son, Robert F. of Keizer; sisters, Virginia McDowell of Inde-pendence, and Ruth Kelly and Maryln Lane, both of Roseburg; and brother, Lloyd Sovey of Newberg. Services will begin at noon Wednesday in Rigdon-Ransom mortuary. Concluding services will be in Lee Mission Cemetery. Visiting will be from 8 a.m. to 8 p.m. today in the mortuary. "Aufranc--Mrs. Louise H. Aufranc, aged 36 years, died at the family residence Sunday, September 24.